But their mundane mission quickly turns treacherous when the Galileo picks up a distress call: Exeter, a sister ship, is under attack from raiders. A PSI generation ship -- the same one that recently broke off negotiations with Foster -- is also in the sector and joins in the desperate battle that leaves ninety-seven of Exeter's crew dead. An investigation of the disaster points to sabotage. And Exeter is only the beginning. 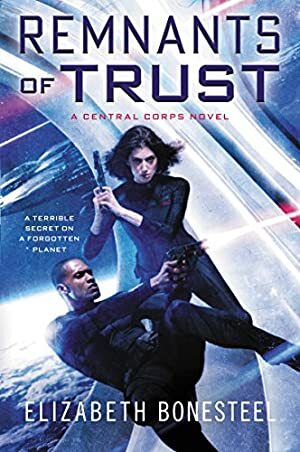 When the PSI ship and Galileo suffer their own "accidents," it becomes clear that someone is willing to set off a war in the Third Sector to keep their secrets, and the clues point to the highest echelons of power... and deep into Shaw's past. Log In to track Elizabeth Bonesteel on eReaderIQ. to be notified each time the price drops on any book by Elizabeth Bonesteel. to stop tracking Elizabeth Bonesteel. We started tracking this book on March 7, 2016. The price of this book has changed 7 times in the past 1,141 days. The lowest price to date was $1.99 last reached on February 11, 2019. The highest price to date was $11.99 last reached on March 7, 2016.